Enjoy a quick ride on the Heathrow Express. You can reach the airport terminals 2 and 3 in just 15 minutes, and terminal 5 in 21 minutes. Travelling on roads by car or bus would take around 45 minutes. You can bypass the traffic and reach the airport quickly. With trains appearing every 15 minutes, you can reach the station at any time, and there will surely be a train to take you to the destination. The train ride itself is extremely comfortable. With a spacious seat, you can relax, and you also have plenty of space for luggage on the racks. You can also enjoy free WiFi during the journey. Being a non-stop train, you will reach your destination before you know it. 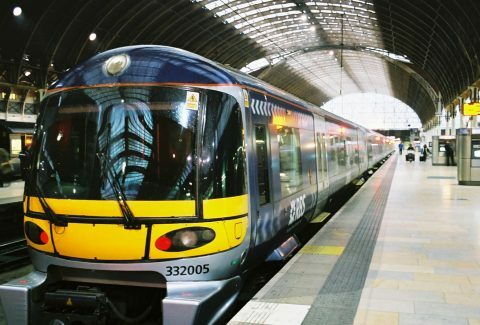 It is undoubtedly the fastest way to travel between Heathrow Airport and Paddington. The First Class compartments are extremely luxurious,and also significantly less crowded. You also have the chance to save some money by booking a return ticket. The return ticket, however, must be used within 30 days. In the next step of the booking, please select your ticket type and pick between standard class and first class. You will receive an email confirmation with your London Heathrow Express: Train to/from Central London ticket voucher shortly. Please take a printout. Show the printout with a valid photo ID at the meeting point. The ticket is valid for a period of 30 days of the travel date.